Worth knowing about the Small Single Room. 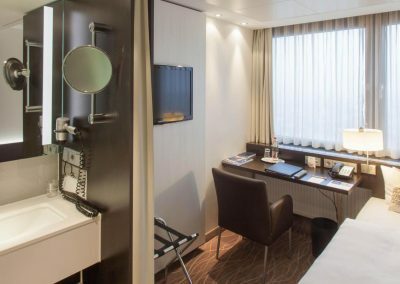 Small Single Rooms at Park Inn by Radisson Berlin Alexanderplatz feature high-quality furnishings and a modern design in warm, elegant wood tones. 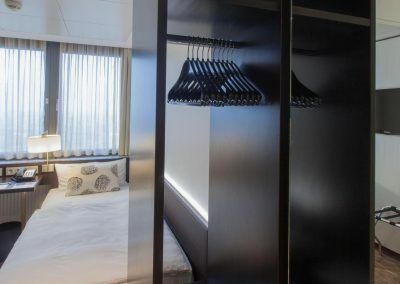 These single rooms are popular among frequent Berlin visitors travelling single. Some rooms offer marble bathrooms with under-floor heating and special rain-effect showers. A flat-screen TV and high-speed internet access are standard in all rooms of this category. These amenities await you in the Small Single Room.